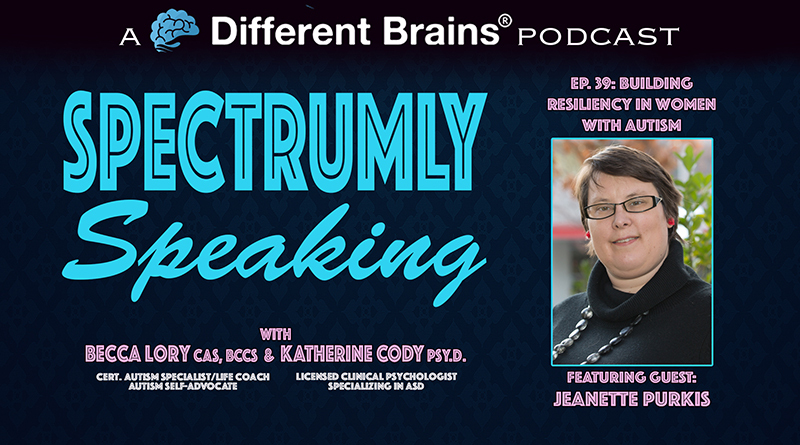 (42 mins) In this episode, hosts Katherine Cody, Psy.D. and Becca Lory, CAS, BCCS take a look at the new movie Please Stand By, starring Dakota Fanning as a young woman that is on the spectrum. 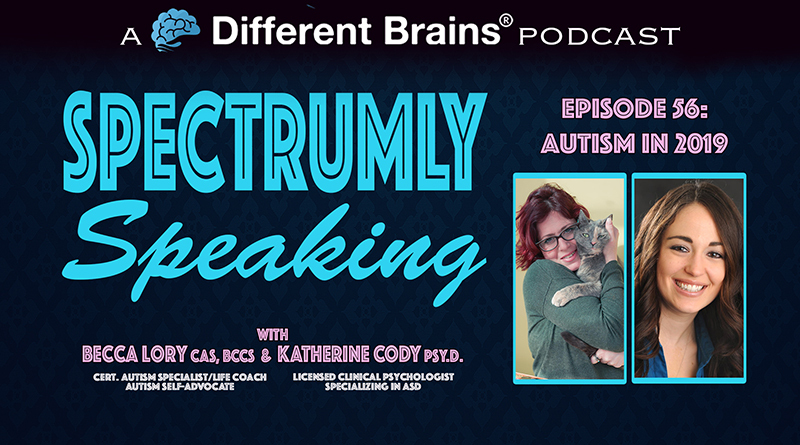 Becca and Kate are rejoined by previous guest Elaine Hall, who you may recall is the Founder of Inclusion from WithIn (I WIn)® and The Miracle Project®, and is a pioneer in using inclusive theatre to connect with individuals with autism. They are also joined by Brittanie Sanders. Brittanie is a talented young woman who is interested in acting, modeling, and advocating for people with autism. 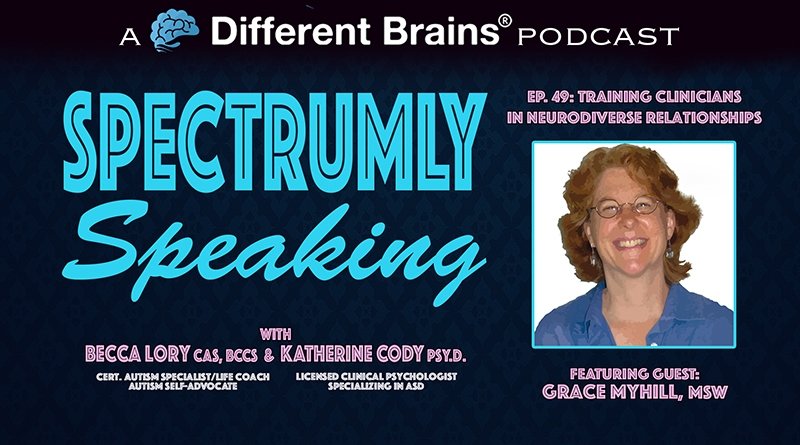 She is on the spectrum herself, is one of Elaine’s students, and appears in the movie Please Stand By. The group discusses Brittanie’s experiences getting her part and acting in the film, and Elaine discusses how several of her students became involved. 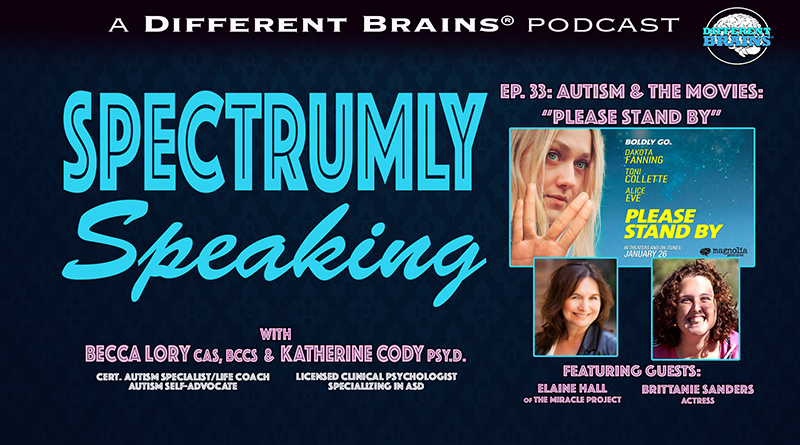 Then, Becca and Kate give their thoughts on Please Stand By, and whether or not it does a good job representing people with autism.